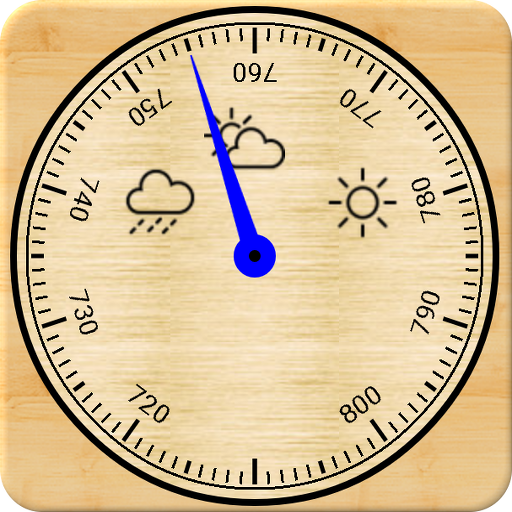 A simple barometer for monitoring atmospheric pressure. 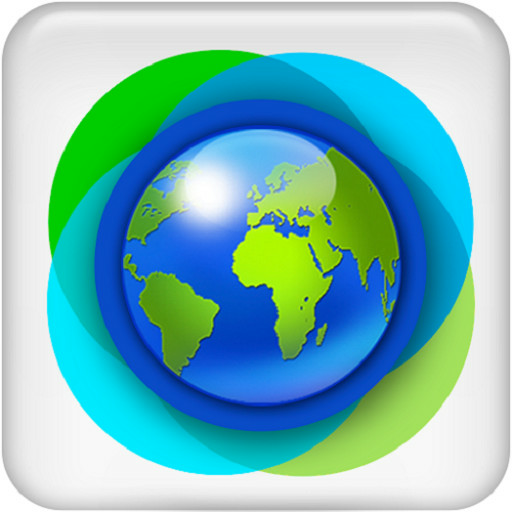 The goal of μBarometer is to be useful, small and elegant. The pressure graph shows the change in pressure in 48 hours. 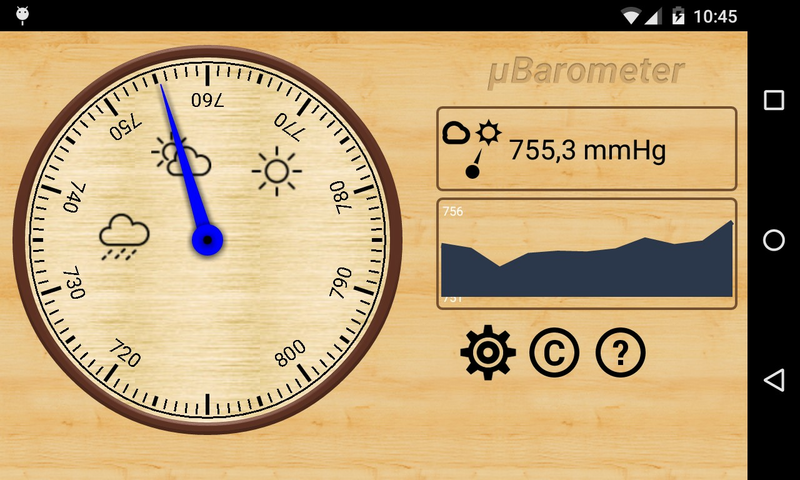 To collect data μBarometer runs a small service which saves the pressure value every hour. 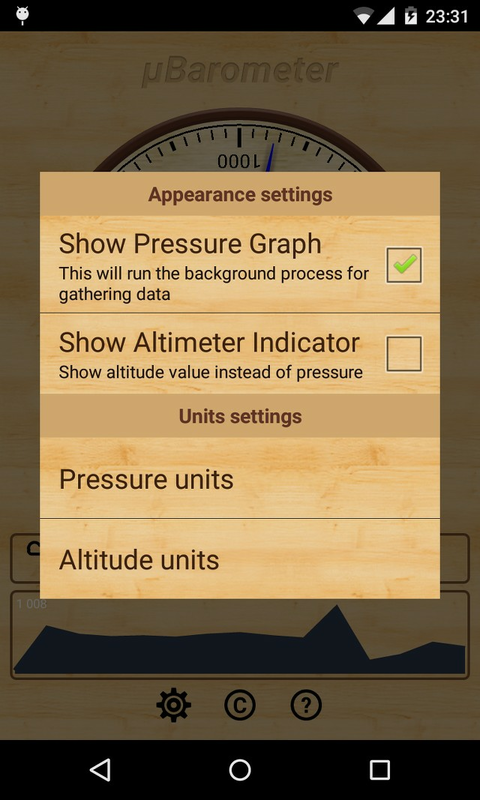 The altitude value are based on the current pressure value. 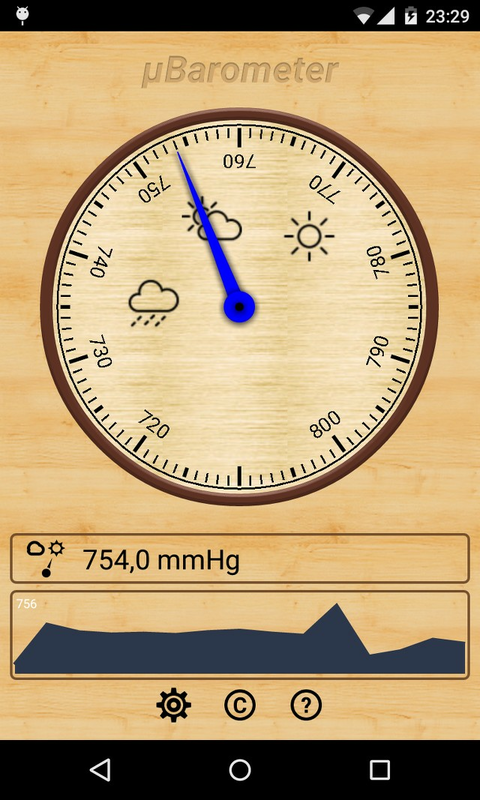 For quick switching between pressure/altitude indicators just tap on the indicator icon. 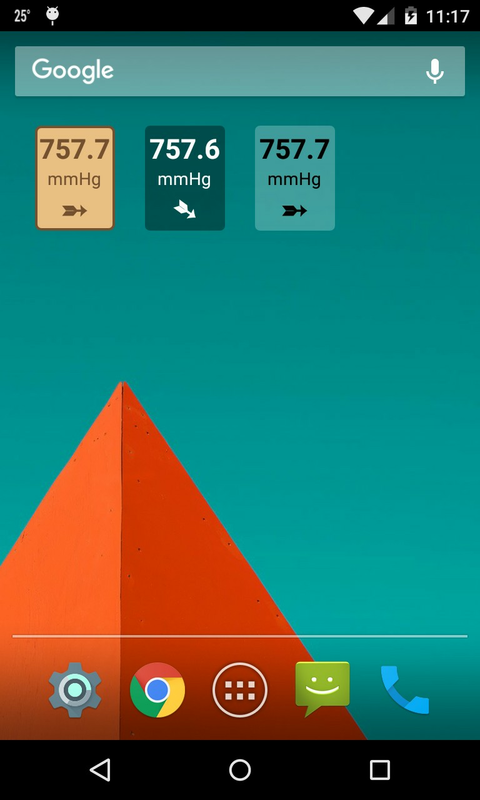 You can measure the relative altitude. 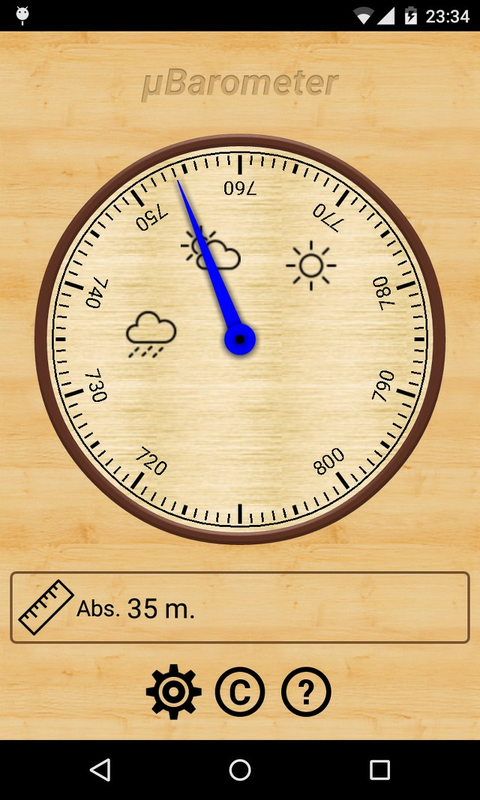 Just tap on the altitude indicator and it will show the relative altitude from the current point.